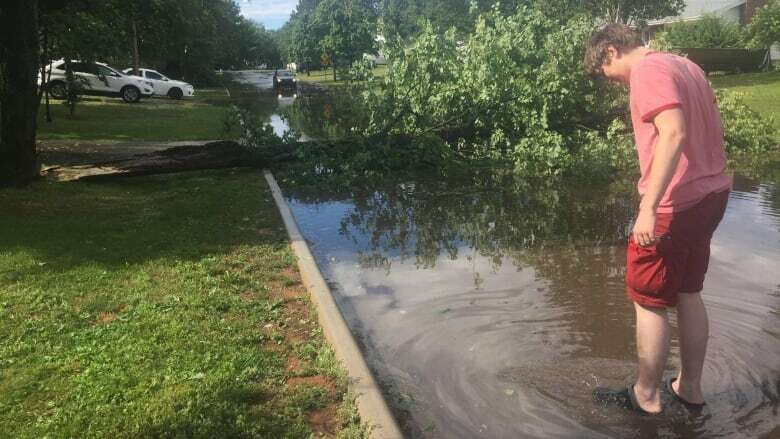 Parts of P.E.I., especially Charlottetown, saw heavy rain two days in a row, resulting in flooding in several areas. On Thursday night around suppertime, heavy rain poured over most of Queens County. 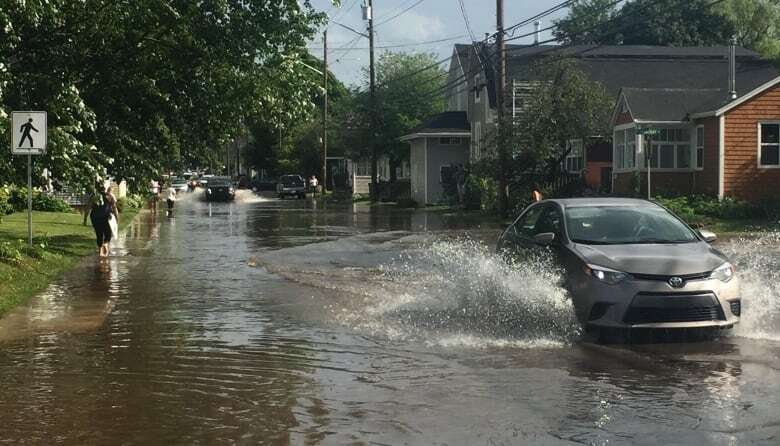 That resulted in several Charlottetown streets flooding, as catch basins were clogged, according to Coun. Mitch Tweel. He said his ward was particularly impacted, mainly along Queen Street, Costello Lane and Desbrisay Crescent Park. "The catch basins get plugged up, they get clogged and that creates a major problem in terms of the water rising to a level where it interferes and flows into people's properties," he said. In the late afternoon Friday, a shorter but just as powerful bout of rain, hail and heavy wind hit parts of the Island and again left parts of the capital underwater. 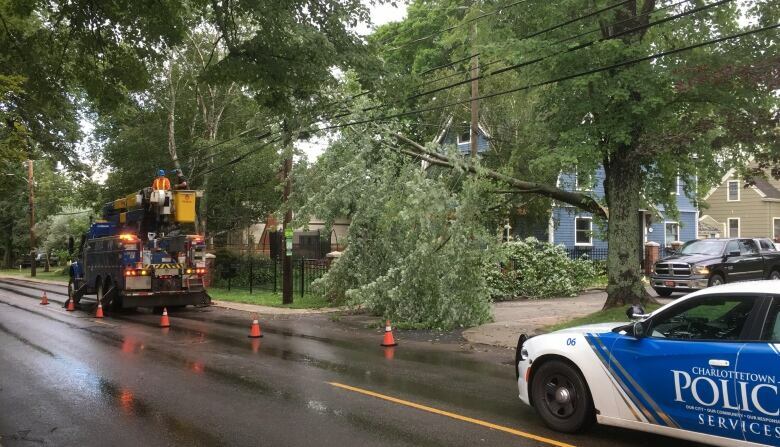 It also left nearly 2,500 customers without power, mostly in Charlottetown and Stratford. "There was a high tide coming in and a significant amount of rainfall within a very short period of time," said Scott Adams, the city's manager of public works. 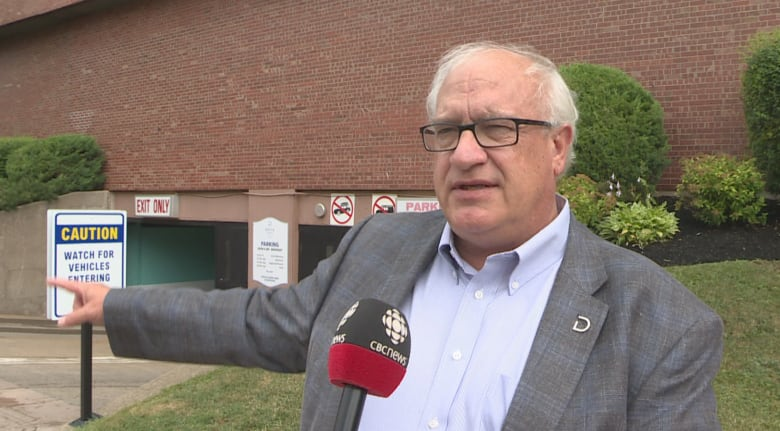 "A lot of our storm water goes to the harbour, but with the water coming in from the tide, it just backed up into our system and our system in areas couldn't handle the water." The midsection of Queen Street, Brighton and east end of Grafton Street were among the areas flooded Thursday night, Adams said. Renee Laprise lives on Queen Street and said vehicles were ripping through the water, which could cause problems for homes in the area. "The cars and trucks will power through it, especially since it's Queen Street, so people go faster. That wakes the water up and can breach the foundation [of homes]," Laprise said. Laprise would like to see some protocols put in place so barricades can be put up quickly when flash flooding happens. Adams said the city is usually quite prepared, with crews putting up barricades. He encouraged people to call the city when they see flooded areas that should be blocked off. The Delta Prince Edward, at the bottom of Queen Street, had water pour into its parking garage after part of a flood barrier failed. "We knew it was coming and we had prepared for it. We have a flood barrier we put out here in front of the parking garage entrance," said hotel general manager James Tingley. "There was a gush of water once the barrier had let go," leaving nearly an inch of water across the garage.